County, state, federal and township officials listen to Walt Pegram speak about laws concerning and the importance of excavation safety. Pegram is treasurer of Ohio Utilities Protection Services, a non-profit company. Among other changes, Pegram said the Public Utilities Commission of Ohio would begin enforcing excavation safety laws with penalties ranging up to $10,000 fines. 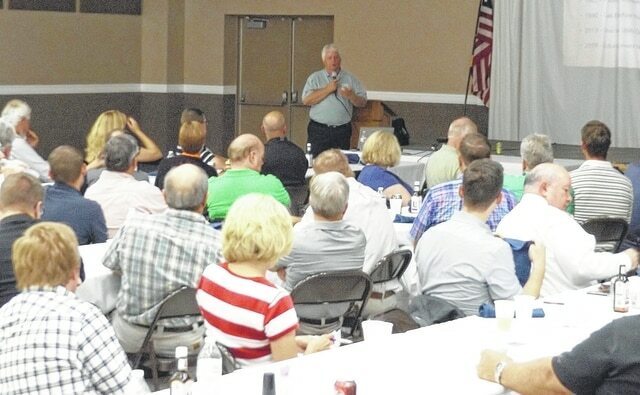 The event was part of a steak fry hosted by Clinton County Engineer Jeff Linkous.